The 'Electron Libre' print on Camilla's playsuit is inspired by the intricate detailing inside the chambers of Versailles. 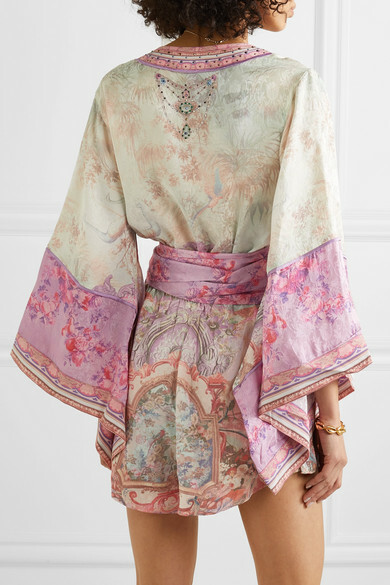 Cut from lightweight silk crepe de chine, it has a wrap-effect front traced with shimmering crystal embellishments and voluminous kimono-style sleeves. 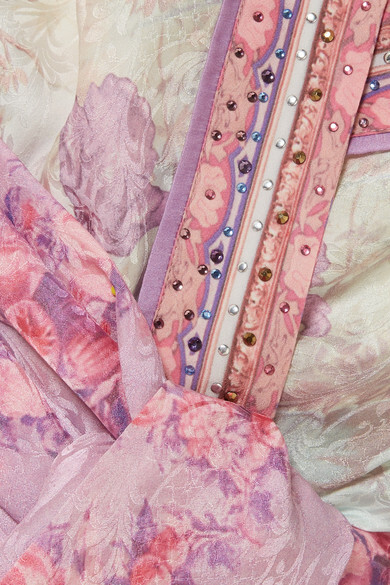 Wear yours with barely-there sandals, adjusting the wide sash belt to cinch the narrowest part of your frame. Wear it with: Cult Gaia Tote, BY FAR Mules, 1064 Studio Ring, Etro Necklace.